Thank you R.M. Palmer for sponsoring this Inexpensive Christmas Gift Ideas post. All views expressed are that of our own. The Christmas Season sure is a magical one. It is a time to give back, show people how much you care, and enjoy the true meaning of the holiday. These days, all too many people forget the real reason behind the season and overspend on trying to curate the perfect gifts for their loved ones. However, Christmas and the holidays do not have to be expensive! 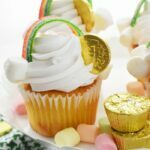 You can totally craft your own cheap and easy gifts using candy or small amount gift cards and cash! 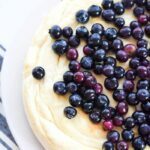 Today, I am sharing some of my festive Cute Homemade Christmas Gift Ideas for everyone on your list. 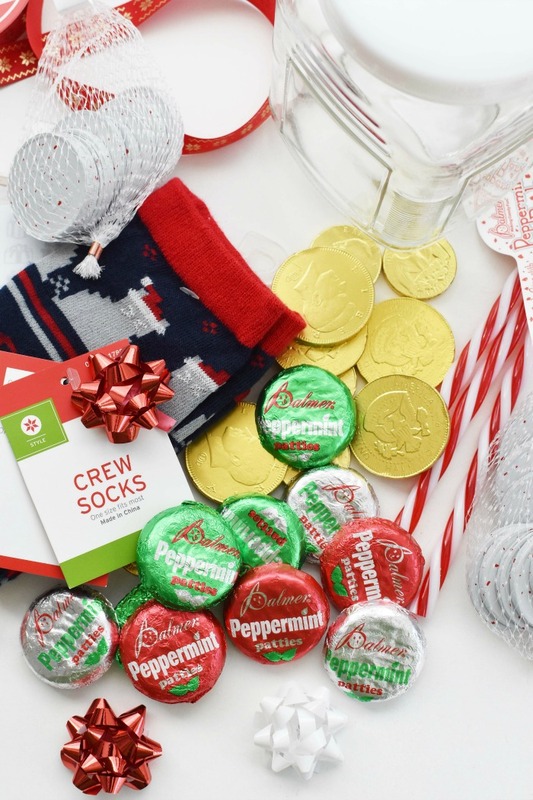 These DIY Christmas gifts feature R.M. Palmer Chocolate. Their premium candy products are super affordable and have the BEST seasonal colors, designs, and shapes. They have the iconic gold coins for Jewish traditions, Peppermint Bark Coins, Penguin Pals, Double Crisp Coal, Crisp Kringle®, and even Stocking Puppies. The R.M. 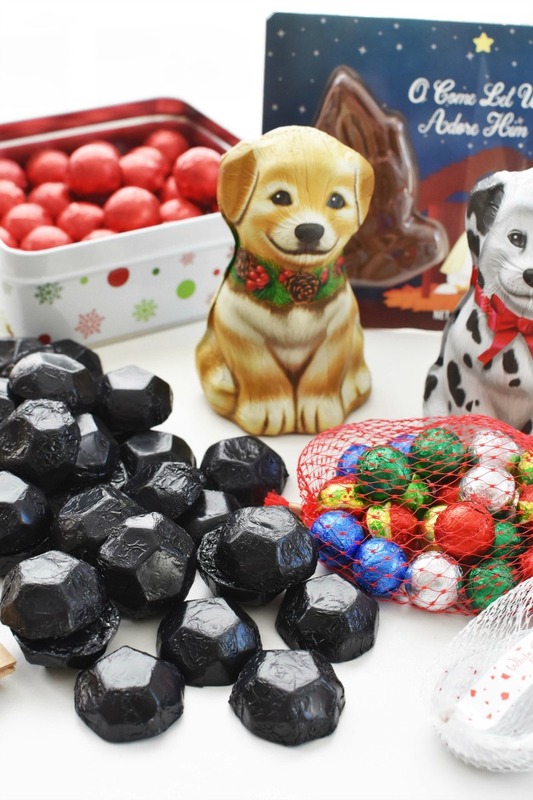 Palmer company has been making candy fun since 1948 and they have tons of products for everyone on your list! 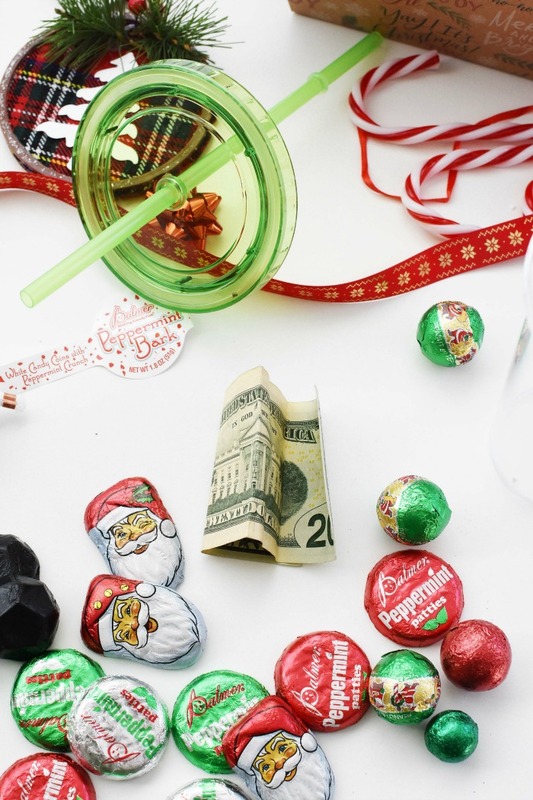 You can find their Christmas candy at stores like Dollar Tree, Walmart, and Target for excellent prices! We will be sharing some of their larger edible gifting products next month! 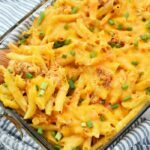 I really had a blast creating these easy Christmas Gift Ideas that are great for family and friends! The best part is they cost as low as $2 to make! 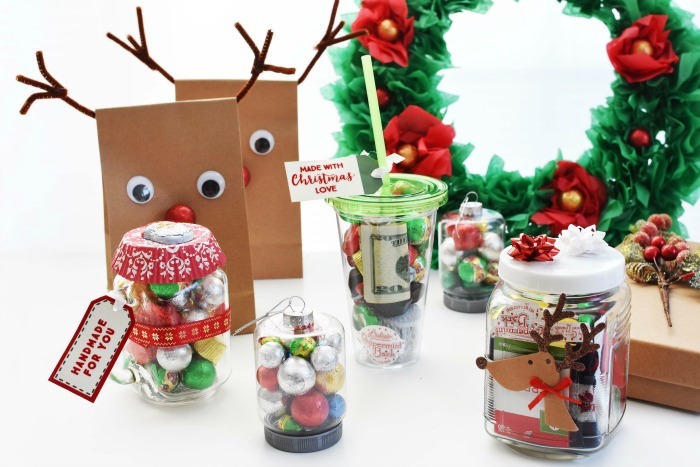 Of course, you can add any monetary amount to these gifts, but by crafting your own gifts you can make that special teacher, bus driver, co-worker, or family member smile! 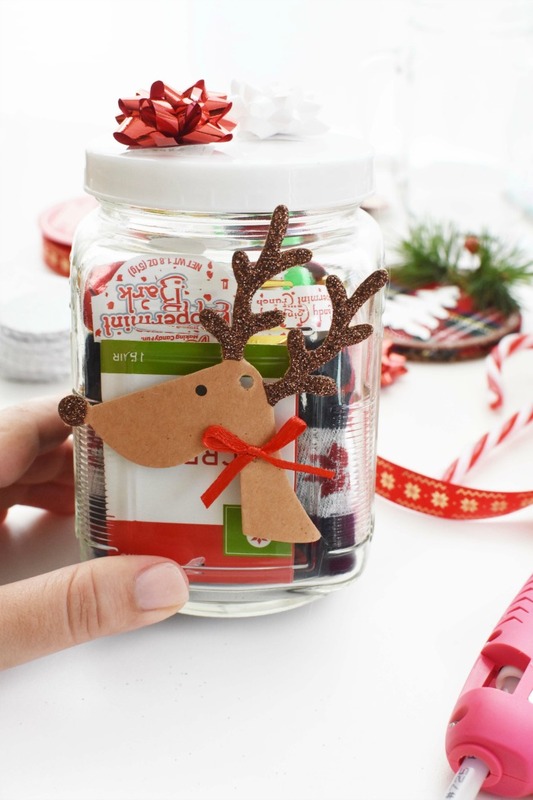 These Reindeer Treat Bags were so fun to make! They feature a red R. M. Palmer Caramel-filled Chocolate Ball as the nose, googly eyes, and brown pipe cleaners to make the antlers. I filled them with little Double Crisp Coal, coins, and assorted candies. These make adorable DIY gift bags, or treat bags! Add money, small toys, and candy to complete the gift! Or, you could add a few candies to them and use them as lunch bags for the kids! I am going to be featuring these in their own post soon! 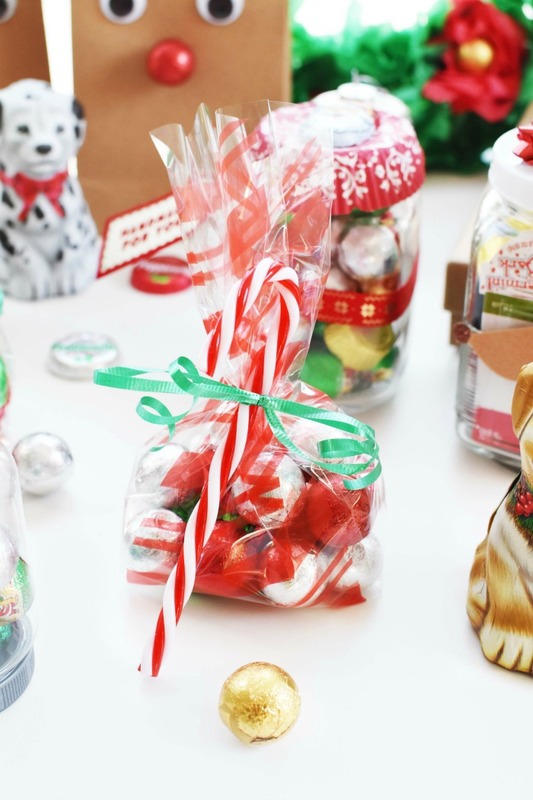 Chocolate and candy-filled gift bags are one of the oldest DIY gifting options. You can spend as little as $1 a piece if you divide up your supplies among a lot of mini bags. Fill these with your favorite R.M. Palmer candies or you could even do a combination of a homemade candy or treat! I picked up some $1 mason jar ornaments and thought they would make an adorable cheap gift for the delivery men, or my kid’s teachers. I filled each with assorted R.M. Palmer Chocolates and will pass them out! These could cost as little as $2 each to make! 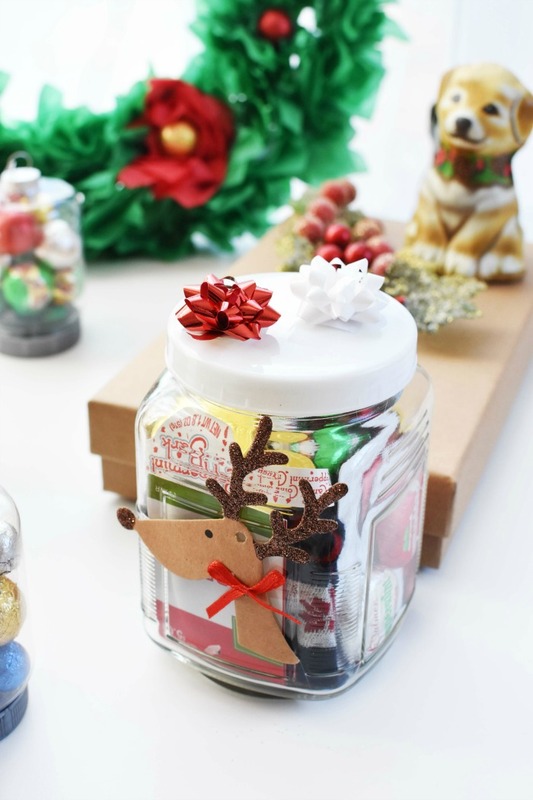 While at the dollar store, I picked up some glass storage jars and thought they would be perfect for an inexpensive gift idea! I filled them with small amount gift cards, a pair of socks, and some chocolate. To complete the look, I added a bow and gift tag- these could be as little as $7 to make if you use a $5 gift card! I really love this unique gift idea because it is also cheap and easy! Simply purchase a cheap tumbler and add as much money as you can afford along with some small trinkets and R.M. Palmer chocolate products! This came out so festive because I used a green tumbler. Depending on if you add money, this could be as little as $4! I love mason jars so much! 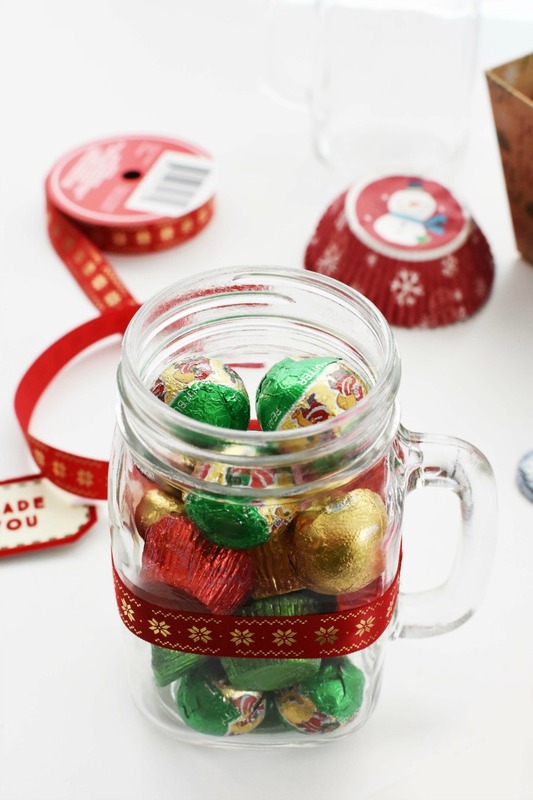 I saw an idea from a fellow teacher once where she filled mason jars with candy and passed them out at the holiday party. To complete the look a cupcake liner was used as the top, along with some festive ribbon. Fill with your favorite R.M. Palmer Chocolate and you have one tasty, and reusable gift idea! 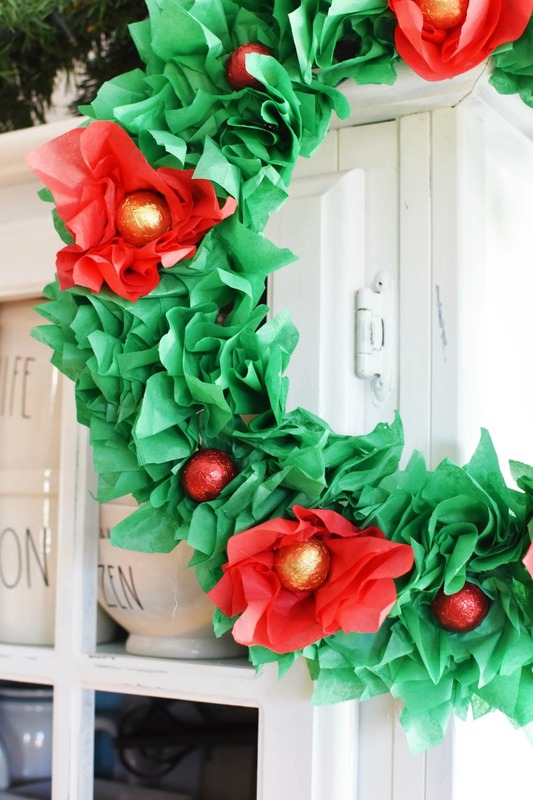 I shared this a few weeks ago, but if you are feeling crafty, you can make this tissue paper wreath for just $3! The ornaments and poinsettias feature R.M. Palmer Chocolate foils balls in assorted flavors. As you can see Christmas gifting for family and friends does not have to be pricey! You can totally pull off a heartfelt gift with some time, and craftiness! 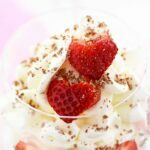 These are such adorable ideas! I love to give homemade gifts whenever I can. In addition to being cost-effective, they are also so much more personal. 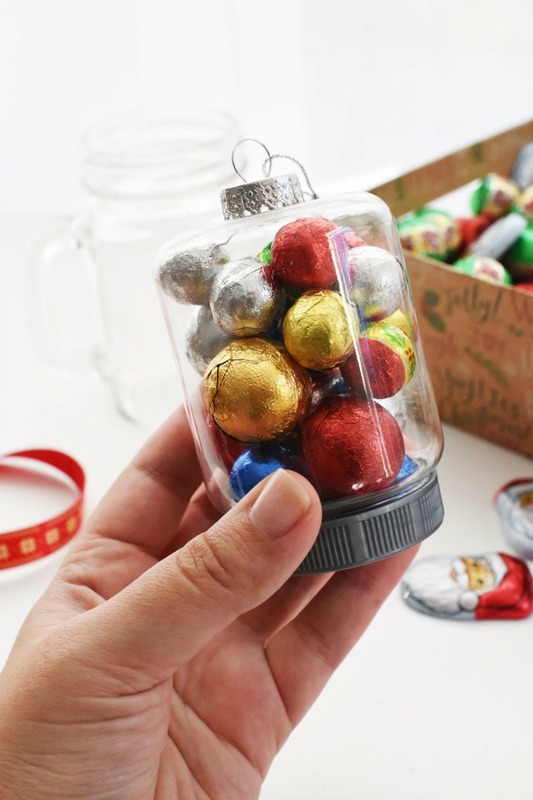 These are such cute ideas to give those great chocolates. I really loved those gift bags and I will try and make some soon. Oh fun! Gifts that include candy are always going to be winners. I think the wreath is such a cute idea. These are some awesome Christmas gift ideas to make up. I am all about ideas like this and now I am going to see what I can do to make them! 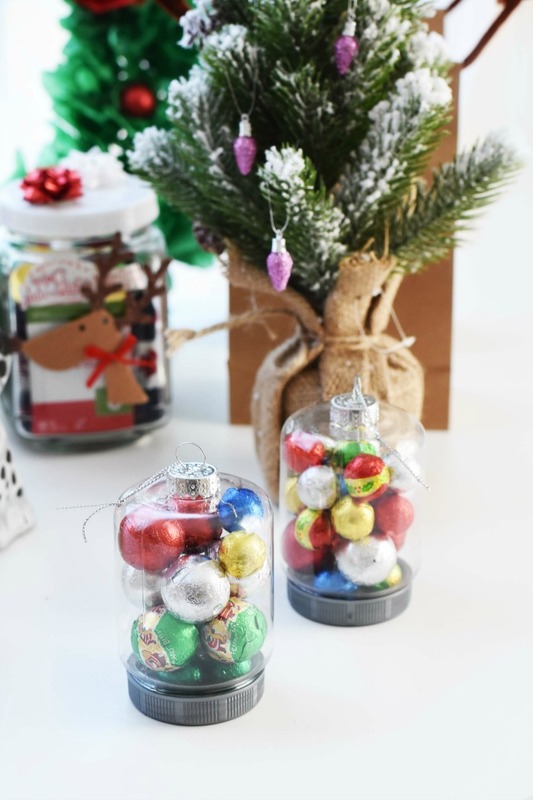 These DIY gift ideas are so creative and sweet. 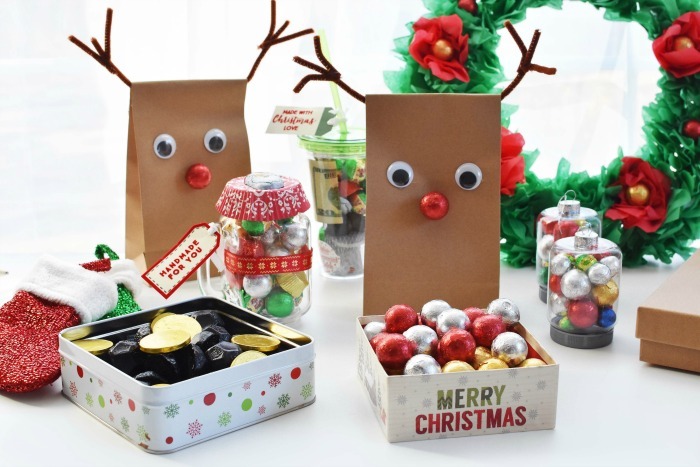 I especially love your Reindeer Treat Bag idea which would be fun to make with kids. Extra candy for me! Those chocolate coins are so fun, I can think of a few ideas for those! Wow these are all such great ideas. Some would be wonderful as inexpensive teacher’s gifts (especially if you have many kids). You are so creative. I always believing that giving is better than receiving, so I love these ideas. 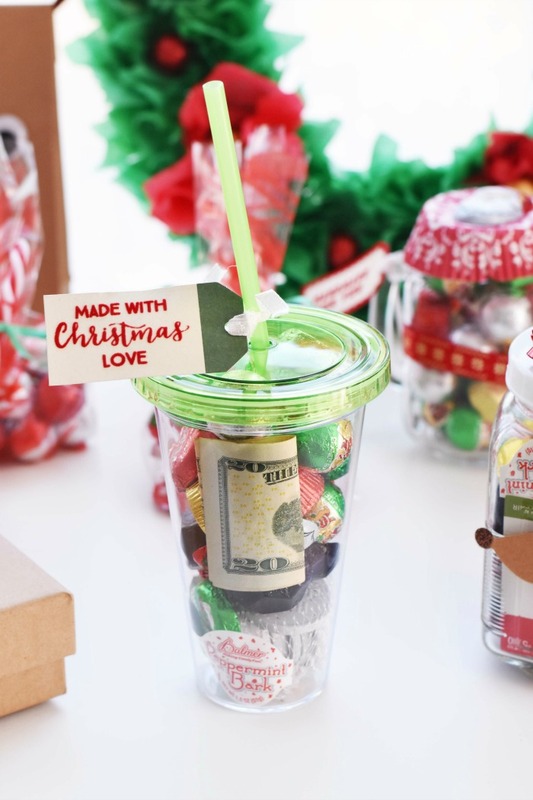 I love the filled tumbler gift idea, seriously great idea! Plus everyone loves candy, how can you go wrong? These are all such cute ideas. Some of these would be a great teacher gift. We finally live near a Dollar Tree so I am going to have to see if they have this chocolate. These are awesome ideas! I love homemade gifts! Those reindeer bags are adorable. I want to make some of those and stuff with cookies and candies for Christmas. Awesome ideas! 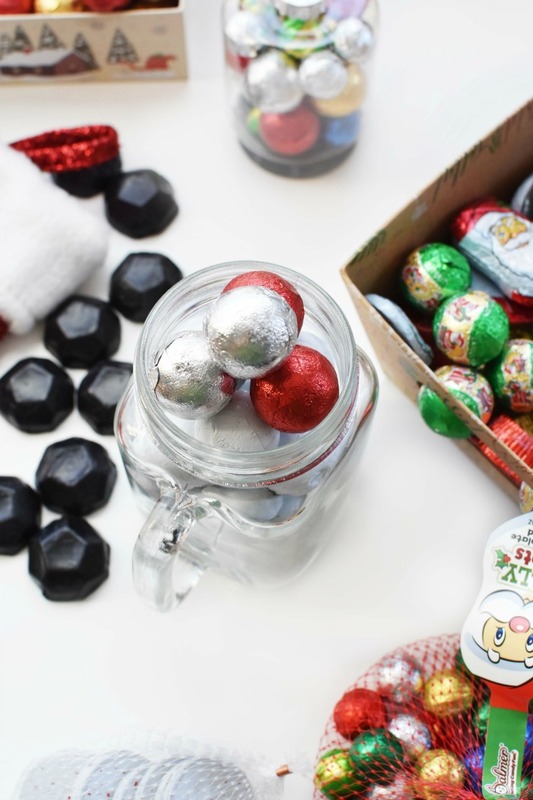 Just a little creativity and delicious candy make for some lovely gifts! 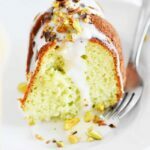 I am copying these ideas and make some myself.